No need to get worried about paint splatters with this apron! 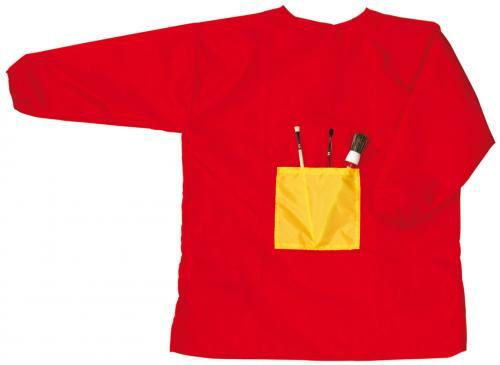 Brightly coloured coverall apron with a pocket on the front to store pencils, crayons and paint brushes. This long sleeve apron has velcro fastening and is waterproof which will dry easily. The Apron comes in assorted colour and is made from polyester.